Carrie Michaels, associate director of athletics and senior woman administrator, received the 2018 Women Leaders in College Sports NCAA Division II Administrator of the Year Award in October. Michaels was one of nine award recipients. Michaels’ is in her eleventh year with Raider athletics and her thirteenth overall at Shippensburg University. She has served as associate director of athletics for nine years. She is a member of the senior management team on behalf of athletics. Her intercollegiate experience includes the overall development and management of NCAA Division II athletics. Michaels also serves as the Deputy Title IX Coordinator on behalf of the Athletics Department and as a member of the university’s Title IX Team. She is proficient in gender equity evaluation and plan development and has worked specifically with university legal counsel and the Office for Civil Rights to address compliance issues. Shippensburg University’s Athletics Department and Student-Athlete Advisory Committee (SAAC) hosted a memorable Make-A-Wish® reveal in October for local seven-year-old Liam Kepner through Make-A-Wish® Philadelphia, Northern Delaware, and Susquehanna Valley. Liam is the son of Kristen Kepner, a student at Shippensburg University, and Josh Kepner. He is the grandson of Karen Reath, secretary for the Department of Music and Theatre Arts. In 2016, Liam was diagnosed with medulloblastoma just two weeks after his fifth birthday. Medulloblastoma is relatively rare, accounting for less than 2 percent of all primary brain tumors and 18 percent of all pediatric brain tumors. He completed his chemotherapy treatments and has undergone a stem cell transplant at the Children’s Hospital at Penn State Hershey Medical Center. Throughout his diagnosis, Liam embraced life and had a smile on his face. After being home-schooled for two years, he started public school this fall. SAAC made the wish reveal possible through fundraising during the 2016-17 academic year. Make-a-Wish® is an official partner of NCAA Division II. Julia Wise ’17 was an integral member of the lacrosse team, serving as a captain when she was a senior. Recently, Wise was diagnosed with metastatic stage 4 breast cancer that has spread to her bones and liver. She is currently seeking treatment at the Abramson Cancer Center at the Hospital of the University of Pennsylvania in Philadelphia. The SU Student-Advisory Committee (SAAC), SU Lacrosse, and other organizations on campus have collected donations in an effort to help Wise fight the battle against breast cancer. These groups have promoted their efforts using the hashtag #WiseWillRise in support of Julia. Jordan Jacobs was hired as SU’s head strength and conditioning coach in early October. Jacobs previously worked at the University of Massachusetts where he served as an assistant strength and conditioning coach for multiple sports—specifically men’s lacrosse, women’s soccer, men’s and women’s swimming, and men’s and women’s track and field. He is licensed through the National Strength and Conditioning Association and holds certifications as a Certified Strength and Conditioning Specialist and a Registered Strength and Conditioning Coach®. Jacobs also holds a USA Weightlifting Level 2 certification as an Advanced Sports Performance Coach. A native of Columbus, Ohio, he earned his Bachelor of Science in Exercise Science from Kent State in 2007 and his Master of Science in Exercise Physiology from Western Michigan in 2010. Nicole Hinkle is assistant coach for the Shippensburg University lacrosse team. Hinkle joined the team in September and has been with the team throughout fall practice. As a collegiate athlete, she competed from 2015-18 at Wingate University, working primarily as a goalie and defender. In her first three seasons, she was a goalkeeper and twice received SAC Defensive Player of the Week awards during her freshman season. In her senior season, Hinkle became a starting defender and earned All-South Atlantic Conference (SAC) Honorable Mention. Danielle Thacker joined the coaching staff as a full-time assistant. Thacker replaces Jessica Strong, who was named the head coach at Seton Hill in July. 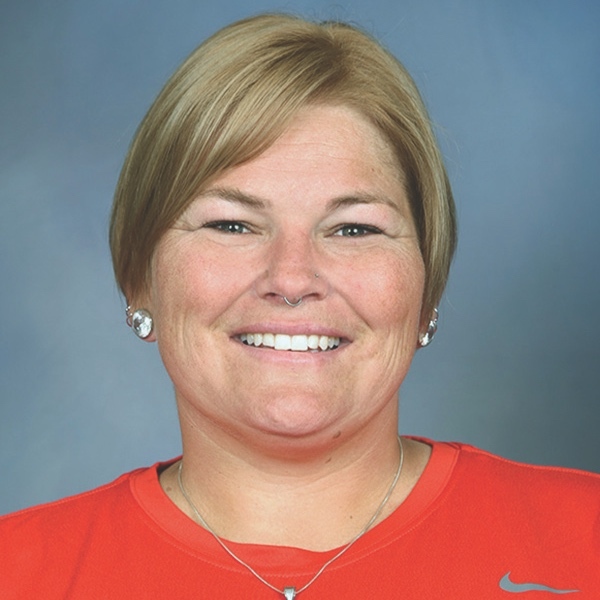 Thacker most recently was at Richard Bland College of William & Mary in Virginia, a junior college where she served as the head softball coach and an assistant to the athletics department. She began as an assistant coach at Richard Bland for the 2018 season before becoming the head coach earlier this year. Prior to Richard Bland, Thacker spent 2017 as the pitching coach at Shepherd University. During Homecoming Weekend, Shippensburg celebrated the thirtieth anniversary of its 1988 football team. In that season, the Red Raiders won the PSAC Western Division with a 5-1 league record and a victory over IUP. More than fifteen members of the team reunited for Homecoming at the Courtyard by Marriott Shippensburg.